Created against the background of Brexit, What Once Was Ours explores how politics and national values impact on the complex lives of one family. 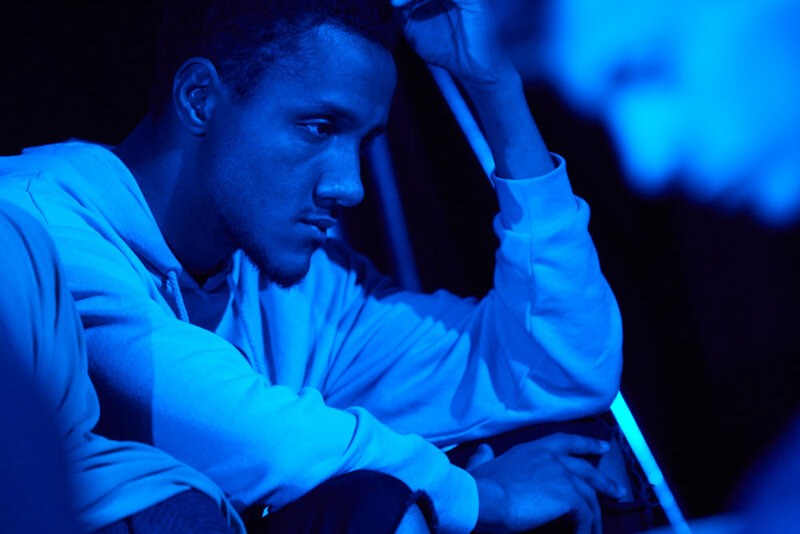 Striking original music and immersive design combine to create this powerful new production for young people. An immersive new show about identity and belonging. 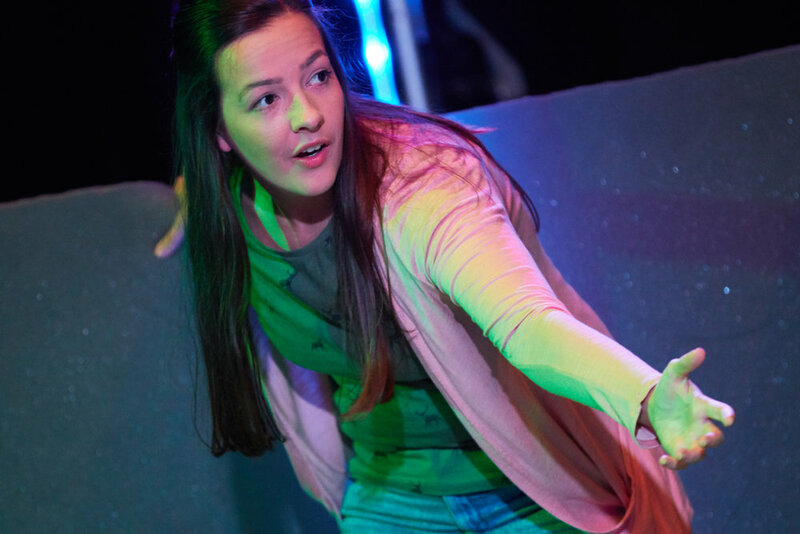 Created against the background of Brexit, What Once Was Ours has been developed through direct contact with young people across the country and uses their words and opinions to explore how politics and national values impact on the complex lives of one family. 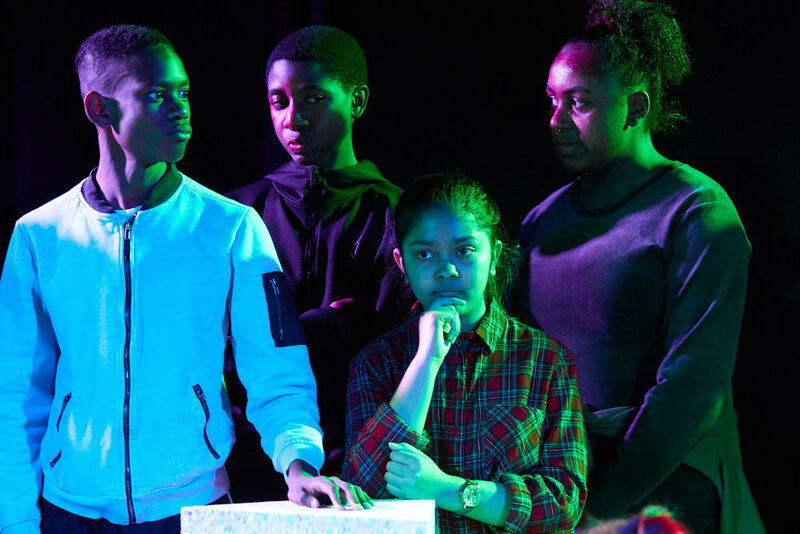 Beautiful imagery, striking original music and immersive design combine to create this powerful new production for young people, which asks why we’ve become so fearful of anyone who is different from us. 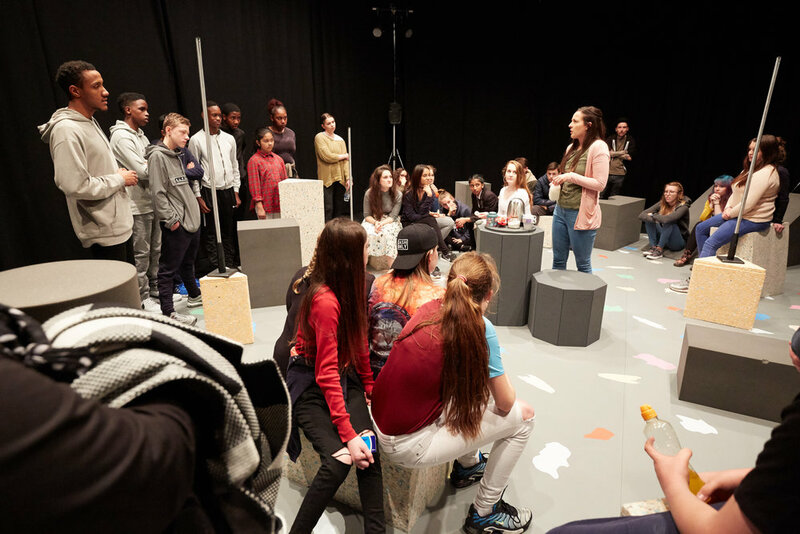 Winner of the Off West End Award for Best Production for Young People 13+, What Once Was Ours is a Zest Theatre and Half Moon co-production: an exciting collaboration by two of the UK’s leading companies creating work for young people. What Once Was Ours is about difference and the common ground that could unite us. Over the last few years tension has risen in our communities. We've seen fear of difference spill over into hate, both globally and closer to home. With Brexit as our impetus, we joined forces with Half Moon Theatre, to try and get to the very heart of what's going on. Between November 2016 and January 2017 we spent time in 4 different parts of the country: Barnsley, Lincolnshire, Newcastle / Gateshead and London - two areas that voted to leave the EU and two who voted to remain. In each place we met people, listened to the voices from across the divides and used those conversations to inspire the creation of this show. In total 215 young people added their voice into the mix. Brexit fired our starting pistol, R&D began the same week as the US election result and ended at the the exact moment of Trump's Inauguration. A crazy time of change and uncertainty for our world. All of this boiled down into the lives of our 2 characters. Off West End Award Winners! Opinion: It's communication Isn't It? Undivided: What do you want from Brexit? Are you a teacher or youth worker? Then download this pack for free and dig deeper into What Once Was Ours! What Once Was Ours is giving a voice to the generation unheard during Brexit. As the production tours the country, we're also making these voices heard in the social through a series of short video made with the support of The Space. Some voices you'll agree with, some you won't... but starting the conversation is the key to unite us. Press play, put in your headphones and immerse yourself in a 360° world of real young voices and opinions. What is the What One Was Ours experience like? The show takes place in a visually stunning set. The set surrounds the audience to create a unique, 360° experience with beautiful lighting and suround sound. You will literally stand shoulder to shoulder with the character on their journey through the story. We do have some limited seating should you need to rest your feet. But this isn’t your usual kind of theatre experience; you are in control of your own experience. This means you can choose to sit on one of the chairs, stand, walk around, or sit on the floor. One of our production team is always on hand, so if you aren’t sure of what to do then make sure you ask for help. We suggest wearing comfortable shoes. Is the show accessible to wheelchairs? Yes, again, let us know and one of our production team will gladly make sure you have the best possible experience of the show. The show sounds like it is interactive? Does that mean I'll be made to do something embarrassing? It all sounds a bit scary. Please don't be scared! Yes, the show is interactive in places, but not in an embarrassing way. Our characters will talk directly to you and may invite you to get involved. But no one is going to make you do anything you don't want to do. If you aren't up for it then just say no and the cast will leave you alone. BUT the closer you get to the action the more you'll get out of the experience. Anything you feel comfortable in! Does this show have headphones like your other shows? No, we don’t use the headphones in this one. This show is suitable for those aged 12+. It's has been developed to target those aged 12 - 19. However, the show is really universal in its themes and will be enjoyed by people much older than our target audience. Any more questions? Then don't hesitate to get back to us! 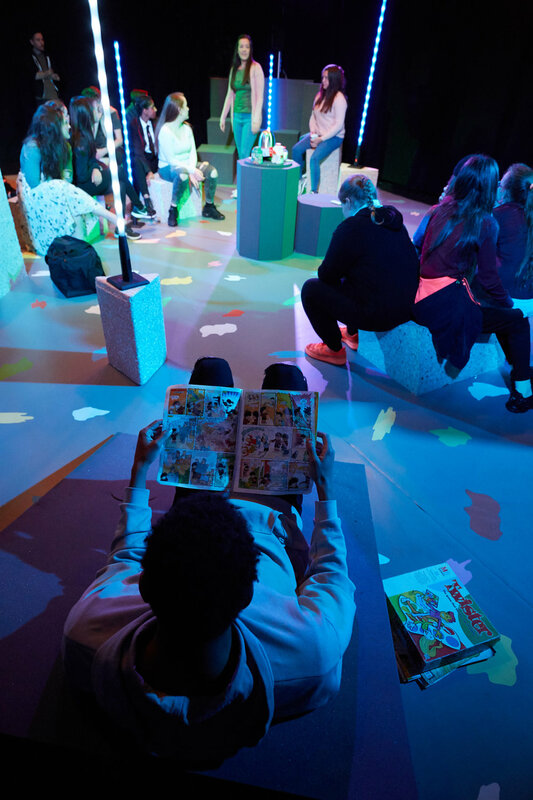 Supported through public money from the National Lottery through Arts Council England together with Garfield Weston Foundation, Winship Foundation, CAW Foundation, Space Arts and BBC.